Opportunities and challenges will coexist in the future BPA industry in China. Opportunities: First, downstream demand continues to grow. The epoxy resin and PC industries are still the major growth areas for the BPA demand in China, but the demand growth from the PC field will significantly overtake that in the epoxy resin industry. The capacity of epoxy resin will grow at a slower pace, as the overcapacity situation becomes more apparent. Due to the favorable end demand and the considerable profit, as a vigorously promoted industry in the “13th Five-Year Plan”, the PC industry will attract more attention of investors. The intensive release of PC capacity will bring a steady stream of momentum to the growth of demand for BPA in China. Second, the capacity of phenol and acetone will continue to rise, so the feedstock competition will be fierce, which may serve to lock in a profit of BPA producers. Third, the development of the BPA industry in China will mainly concentrate on forming a complete production network. The integrated enterprise will be more conducive to the development of the BPA industry, and the competitive advantages will be more obvious. Challenges: With the capacity expansion in recent years, the import dependence degree of BPA dropped to 30% gradually. 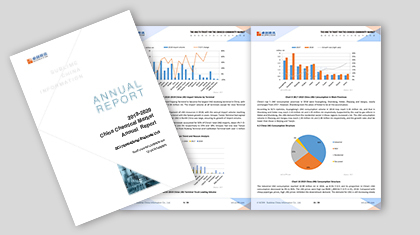 However, the imported resources still occupy a certain share of the BPA market in China. The demand for BPA will keep increasing, and China is still an ideal place for BPA export. Facing the competition from imported sources, China’s BPA enterprises should speed up the adjustment of industrial structure.